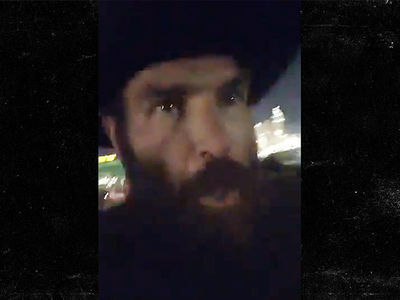 This incredibly intense video shows Dan Bilzerian frantically searching inside a police truck Sunday night as terrified concertgoers ducked for cover from the hail of bullets. Dan -- the gun enthusiast getting roasted on social media for running away from the massacre -- is seen in this video running with a panicked group and hiding behind an unmanned Las Vegas Metro PD truck ... in the shadow of Mandalay Bay. The video's intense -- some people are covered in blood, while others angrily debate whether to remain hiding there or make a run for it. Dan seemed adamant about taking matters into his own hands ... as he rummaged through the police unit, clearly looking for a firearm. It's unclear if the vid was recorded before or after Bilzerian begged a cop for a gun.